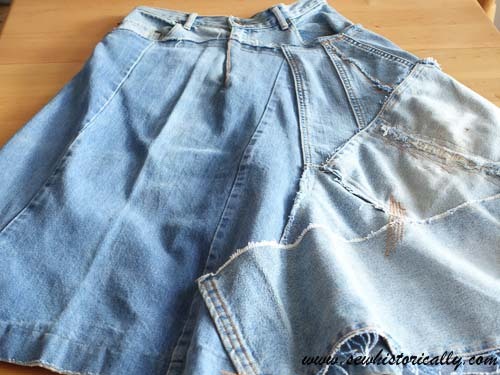 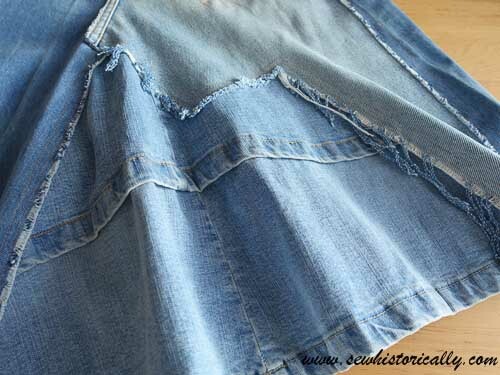 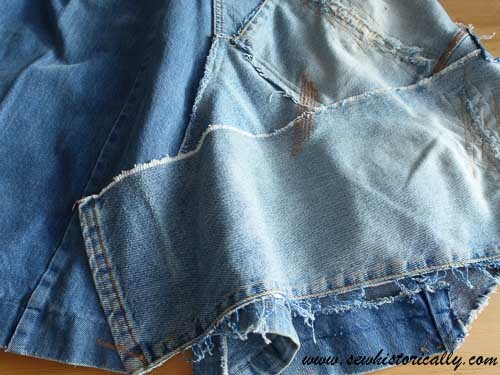 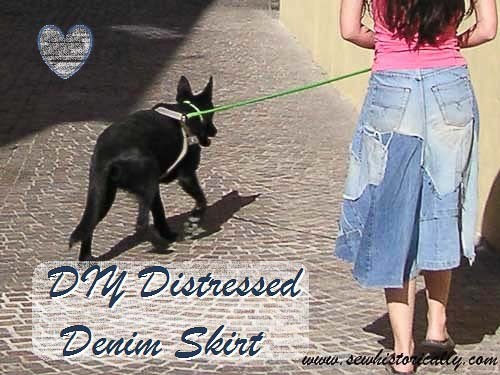 I used parts of dark blue and light blue, partially faded, distressed, ripped old jeans and turned them into an A-line denim skirt. 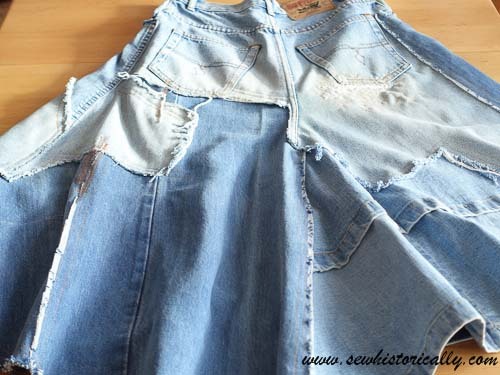 It was such a fun project cobbling together all those odd shaped fabric pieces, cutting here a bit and there, fraying a hem, and sewing it together again. 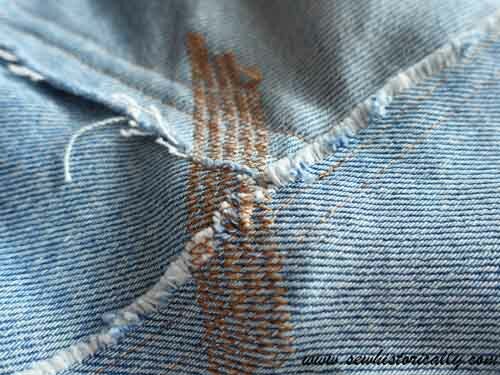 I used brown sewing thread matching the color of the original thread. 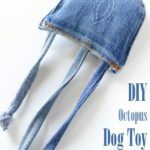 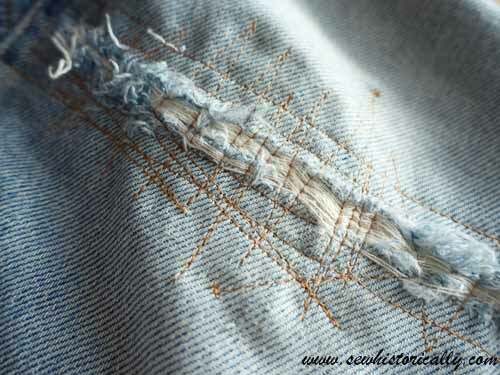 Part of the old jeans were badly torn and frayed. 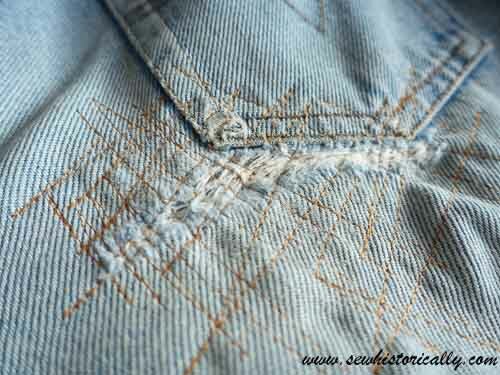 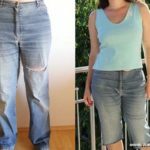 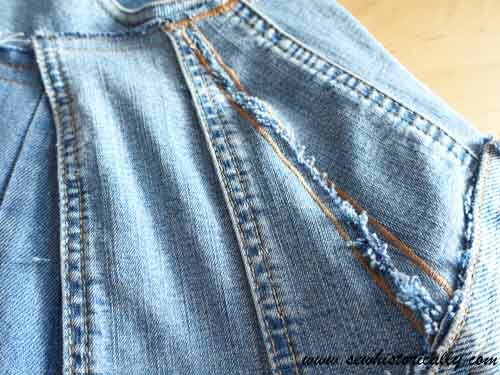 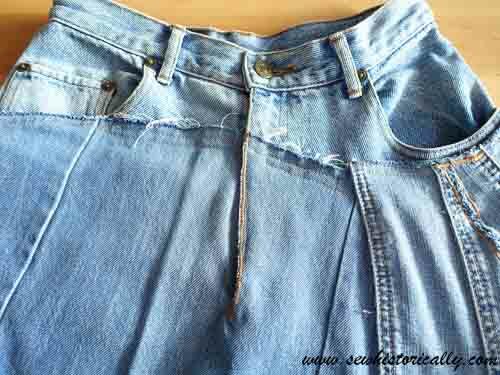 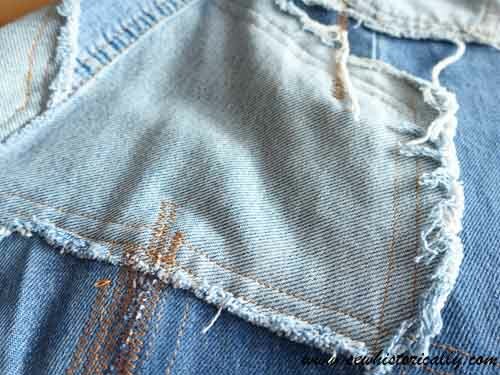 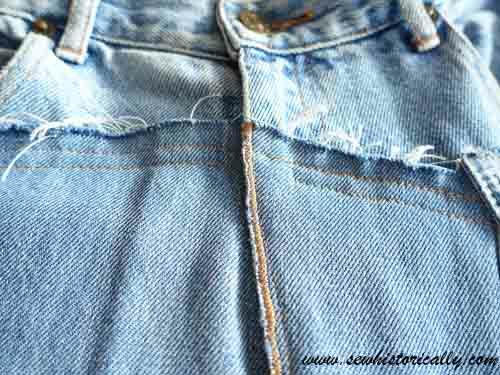 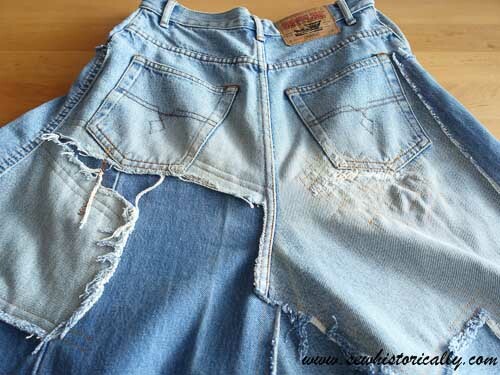 Here you’ll find my tutorial how to mend ripped jeans.